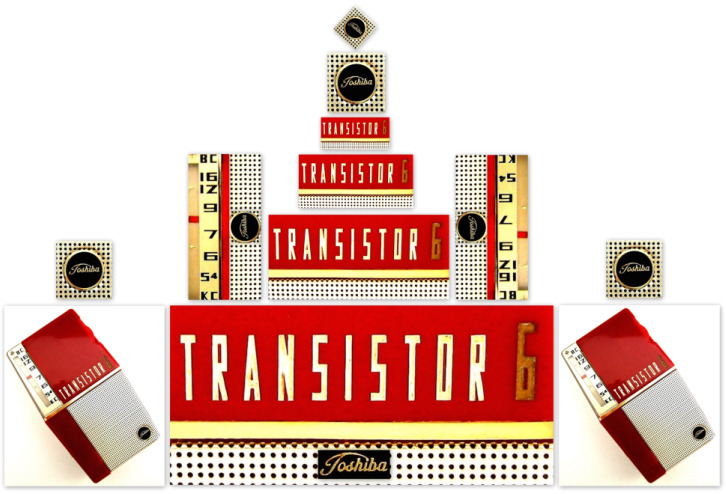 This scintillating Toshiba 6TP-304 was manufactured in Japan in 1959. 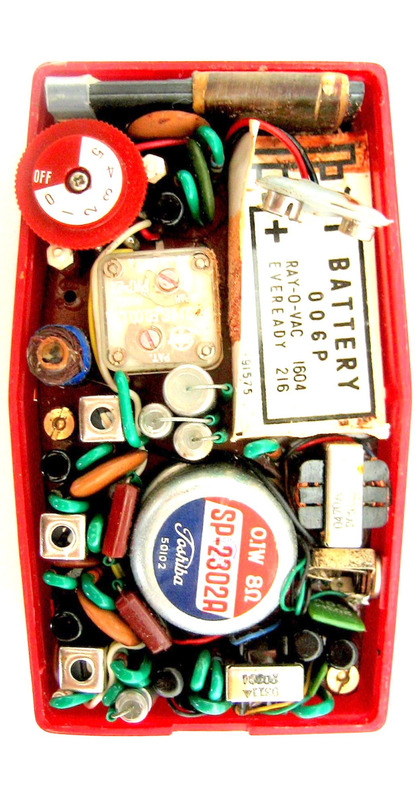 Featuring absolutely devastating state of the art design this Toshiba puts the fear of God into other transistor radios and reduces most to quivering little two transistor sets with melt marks on their posteriors! 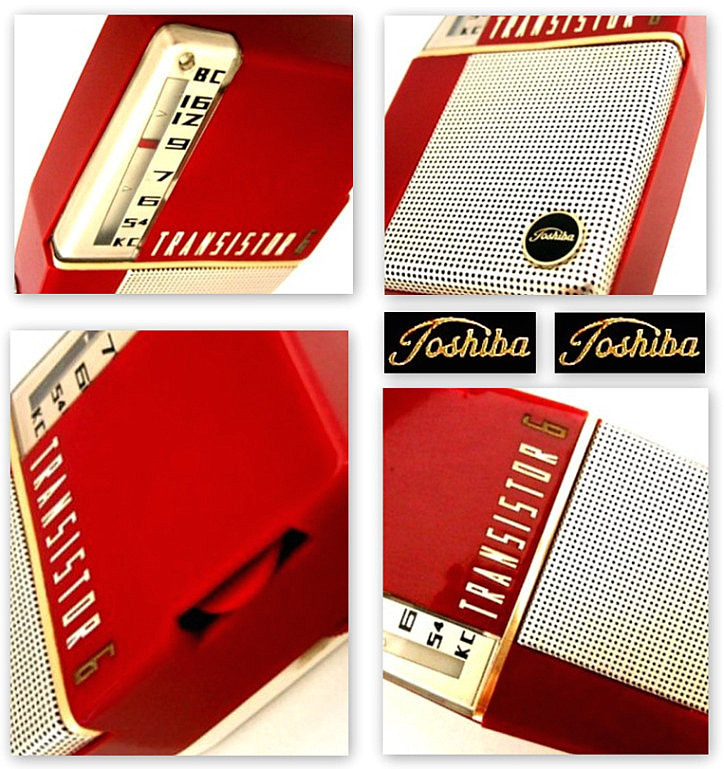 The team at Toshiba really surpassed all expectations when designing this radio. 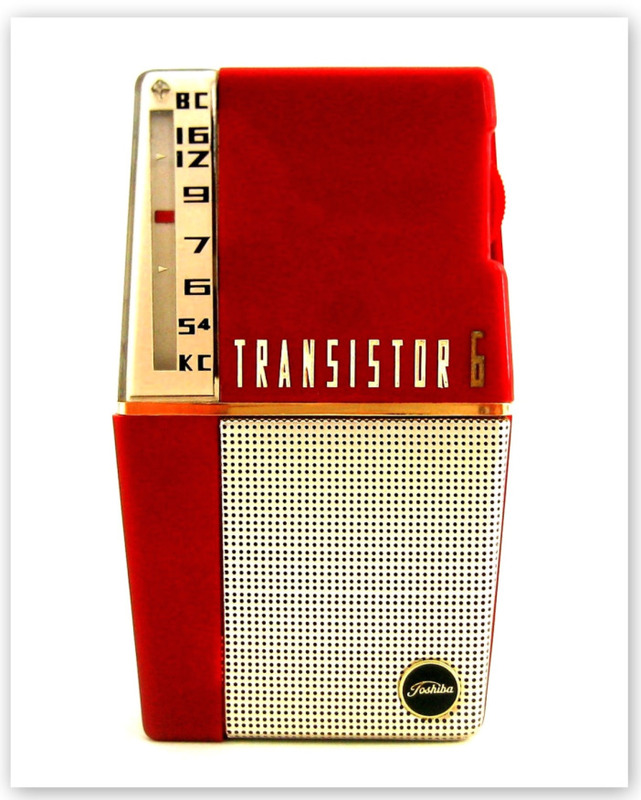 It is stunning and I believe it to be one of the greatest looking electronic gadgets ever made. 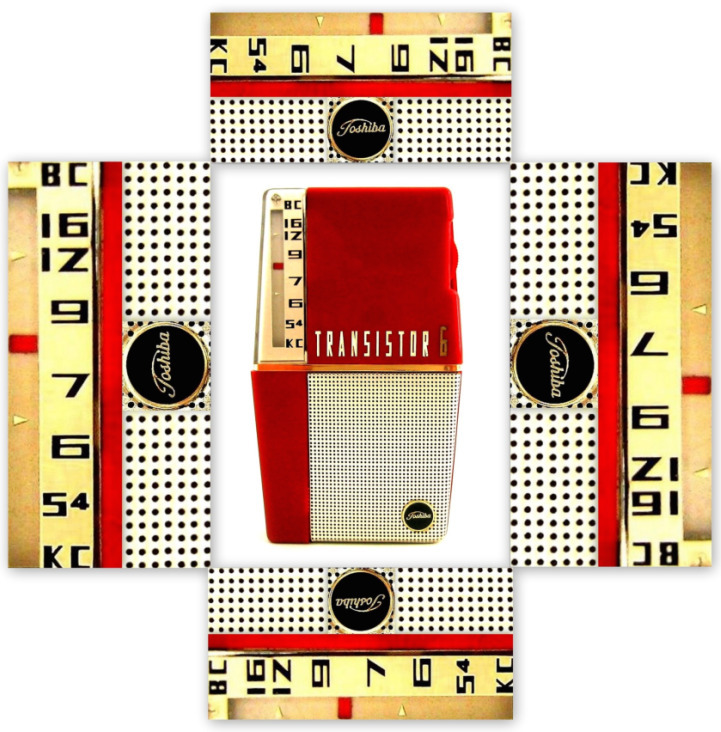 What a sensational feat of transistorized design from 1959! This Toshiba has been nicknamed 'The Coffin’ but that doesn't really do it justice. Trying to think of a more fitting moniker I came up with 'The Sarcophagus'. Not really very original I know, but it sounds far more sophisticated and eternal. 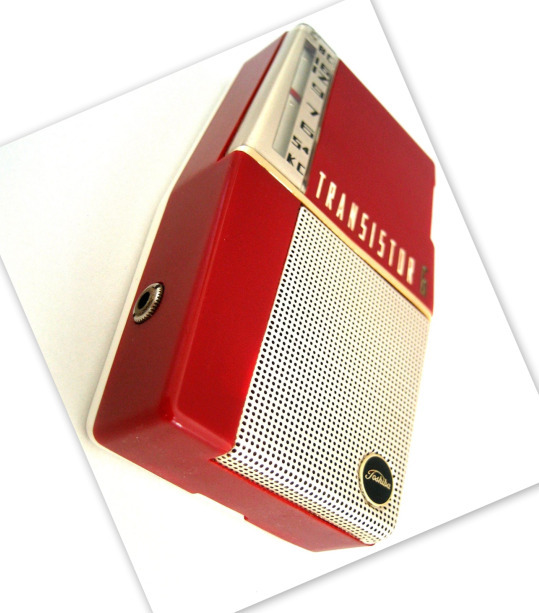 Apart from the unique cabinet shape this 6TP-304 also features a vertical under-painted slide rule tuning dial. 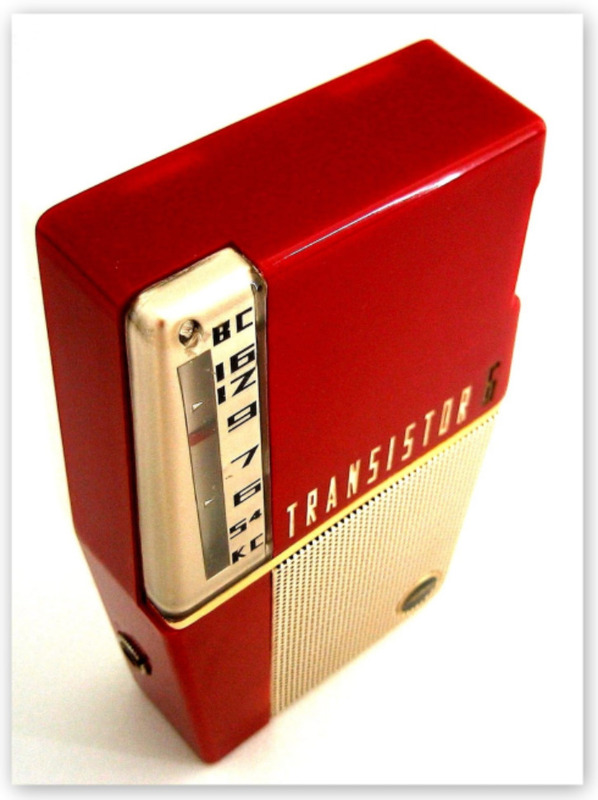 The style of lettering used on the tuning dial is very uncommon for this time period and is yet another reason why this radio was way ahead of its time and the competition. The front of the cabinet is neatly divided into four visually stimulating sections separated by a gold band. 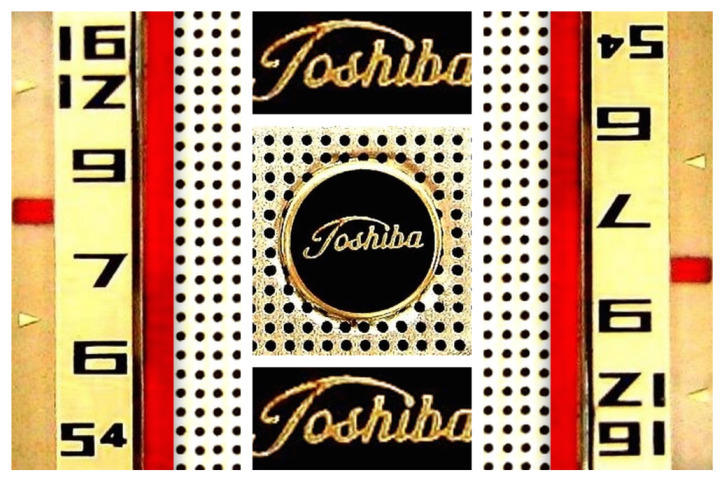 There is a neat little cloisonné badge at the bottom right of the speaker grill. 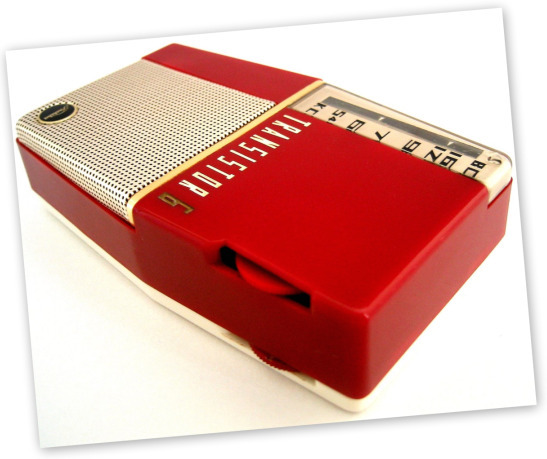 It measures just 4.3” H x 2.5” W.
"Even the bird will stop singing when lured by the sweet melody from the radio in your hand"
The above was taken from an advertisement for the 6TP-304 as seen below. 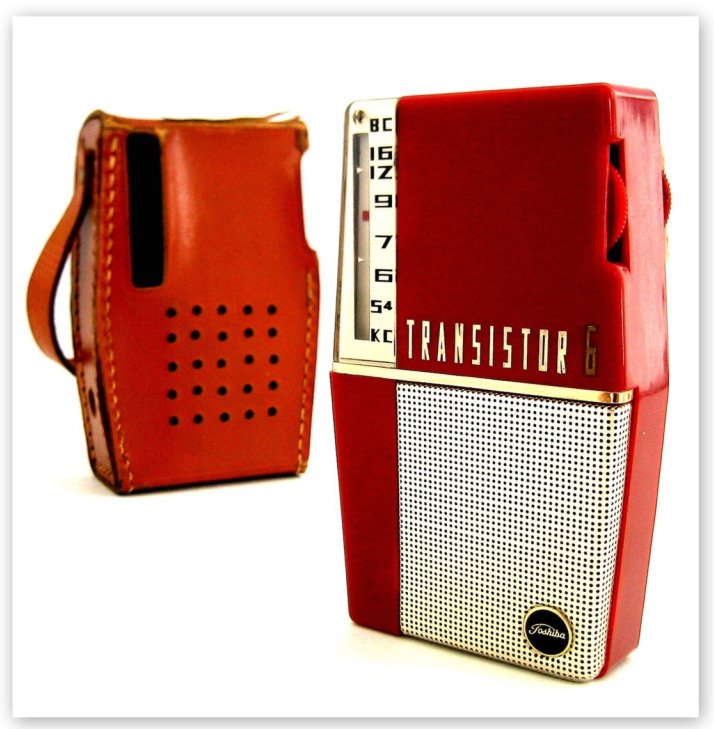 In 1959 it had a sale price of $39.95 USD. 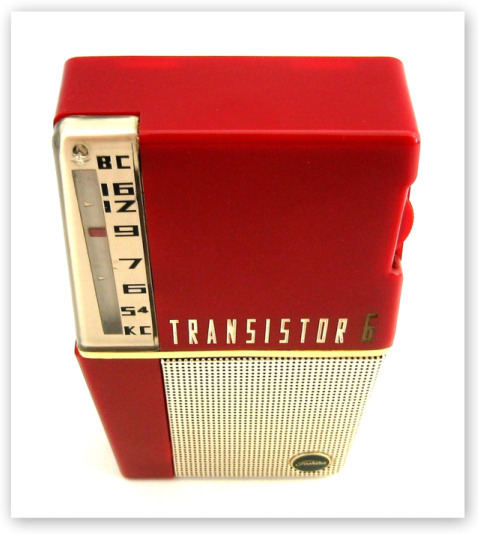 Toshiba transistor radios were distributed in the USA by Transistor World Corp of New York. They were distributed in Canada by Regal International Corp of Montreal. 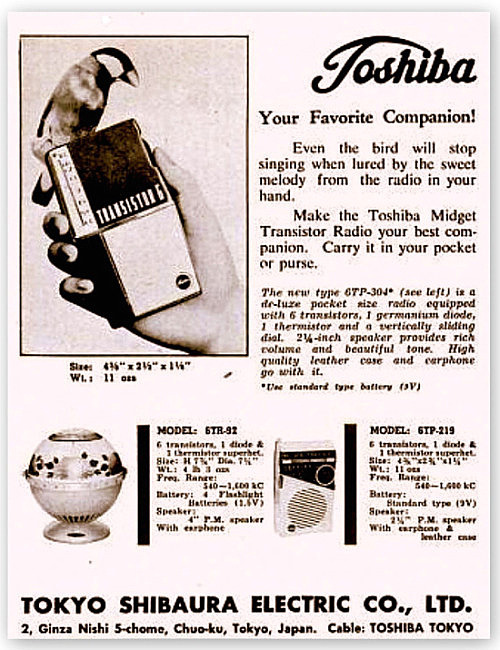 In the USA Toshiba radios were sold by Jewelers who purchased them via Jewelers Circular Magazine. March 1959 ad from Life Magazine. The label located on the inside of the back cover says it all.